Scott Blacklin provides boutique international advisory services based in Washington, DC. Spanning 35 years of international business development, Mr. Blacklin has a track record of success helping companies, NGOs and governments achieve their international growth objectives. Mr. Blacklin has particular experience with the challenges and opportunities facing technology companies as they try to scale internationally and take advantage of an unprecedented rollout of infrastructure and services worldwide. Mr. Blacklin has developed an expertise in using Washington’s unique assembly of international funding and financing resources to advance the international sales and development strategies for US and European companies, maximizing their global footprint. Mr. Blacklin played a key role in Cisco’s global rollout from 2002 to 2010. As vice president, Emerging Markets for Cisco Systems, Mr. Blacklin was responsible for driving sales of Cisco technology and services to public sector organizations in more than 130 countries. Based in Washington, Mr. Blacklin’s responsibilities included developing political support for internet-driven development in these countries, and also for directing development fund resources to these objectives, including the US EximBank, TDA, OPIC, IFC, the World Bank, and USAID as well as equity firms. and financing initiatives. Mr. Blacklin culminated his work in Russia in 2001 as president of the American Chamber of Commerce in Russia, representing the US business community, and building strong working relationships.with Russian commercial and governmental entities. In the US, Mr. Blacklin served as Director of the International Division of the State of Maryland, working to increase Maryland exports and attract foreign investment. In the private sector, Mr. Blacklin was president of Potomac Group International in Washington, where he developed and executed clients’ commercial objectives in the former USSR, Yugoslavia, and Eastern Europe. Mr. Blacklin graduated in 1975 from the school of foreign service at Georgetown University and completed post-graduate work in Soviet Studies at The George Washington University. Mr. Blacklin also studied at Leningrad State University and speaks fluent Russian. 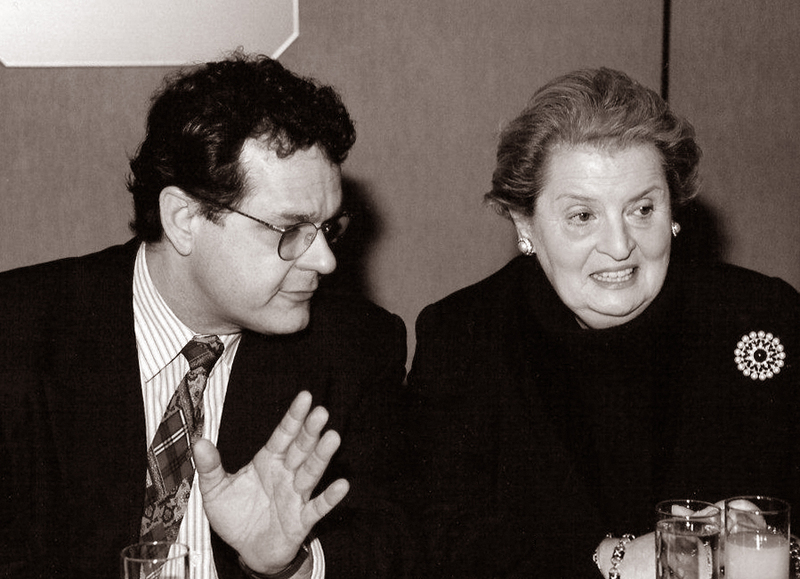 Scott Blacklin with former Secretary of State Madeleine Albright.